What do you think of when you think of novelist Anne Tyler? For me, it is The Accidental Tourist, Breathing Lessons, Dinner at the Homesick Restaurant. It is quite a list. So I enjoyed the anticipation of reading her latest, A Spool of Blue Thread. What do I expect? Family, no-one writes about family like she does. I became wrapped in the story of Abby and Red Whitshank and their four children Denny, Stem, Jeanie and Amanda. Abby was the character that fascinated me, we see her first as a mother in 1994 when Red takes a strange phone call from Denny who is living who knows where. They don’t know whether to believe Denny, whether to worry about him, Abby tries to empathize, Red says there is such a thing as being ‘too understanding’. And so the Whitshank story slowly unfolds like a dropped spool of blue thread running across the floor. We hear the story of Red’s father, Junior, a carpenter, who built the house Abby and Red now live in, we hear about Linnie Mae, Red’s mother and her love affair with Junie. The history of this family is in their bones, and in the bones of the house where they live. But Abby and Red are getting old now, and managing in this large house is becoming fraught with incident. 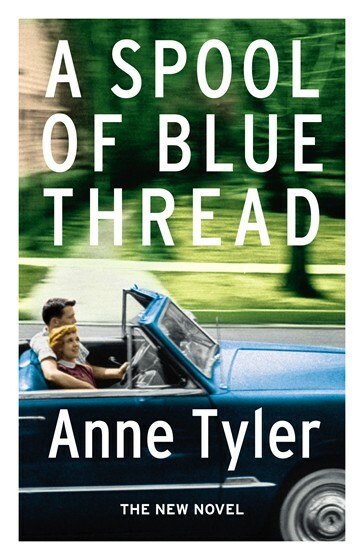 Anne Tyler dissects the structure of the family, how they become who they are, how the memories and misunderstandings from childhood and adolescence filter through to adulthood and shape mature viewpoints. And how all of this affects the Whitshanks’ relationships with each other, and the outside world. I’ve read some lovely reviews, and some so-so reviews, but if you liked it, you have such good taste in books, I’ll have to read it. Going on my TBR.